Reykjanes: The best and the worst of Iceland’s best/worst kept secret. The Reykjanes peninsula is a place of many paradoxes. It has some of Iceland’s most beautiful landscapes, such as the sprawling moss-covered lava fields and the Eldvörp crater formation, it also has some complete eyesores, such as the depressing old US naval base and the huge Straumsvík aluminum smelting plants. The paradox also extends to the fact that while the majority of people who visit Iceland see some portions of the peninsula (most while driving between Keflavík Airport and Reykjavík or visiting the Blue Lagoon), many tour guides still mention Reykjanes as Iceland’s best kept secret. 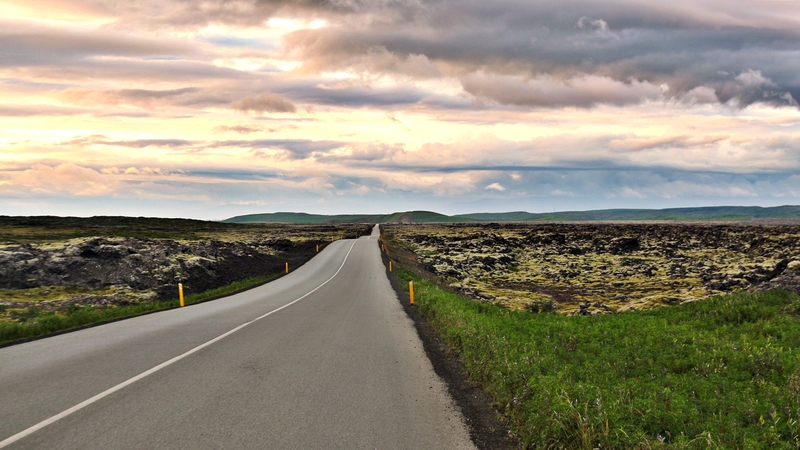 In any case, a drive around Reykjanes is an excellent way to get the most out of a short visit. We at Iceland Mini Campers would like to make a few suggestions for interesting destinations and activities ideal for a short mini camper journey. Since a portion of the Reykjanes road system consists of gravel roads we recommend that you drive carefully (at a sensible speed and apply brakes every now and then to test road grip) and consider getting added gravel coverage. For a small fee we can also provide navigators for our motorhomes. You can start your tour of Reykjanes at our office and drop off point in Eskivellir, which is located in Hafnarfjörður at the base of the Reykjanes peninsula (we can of course also bring your mini camper to the Keflavík airport). Make your way onto route 42 which should bring you right past lake Kleifarvatn which, if you like fishing, is rumored to harbor some big ones (see here for permits: http://veidikortid.is/en/). A few minutes after you pass Kleifarvatn you should see Krýsuvík on the right hand side. Kleifarvatn. The biggest lake in Reykjanes. 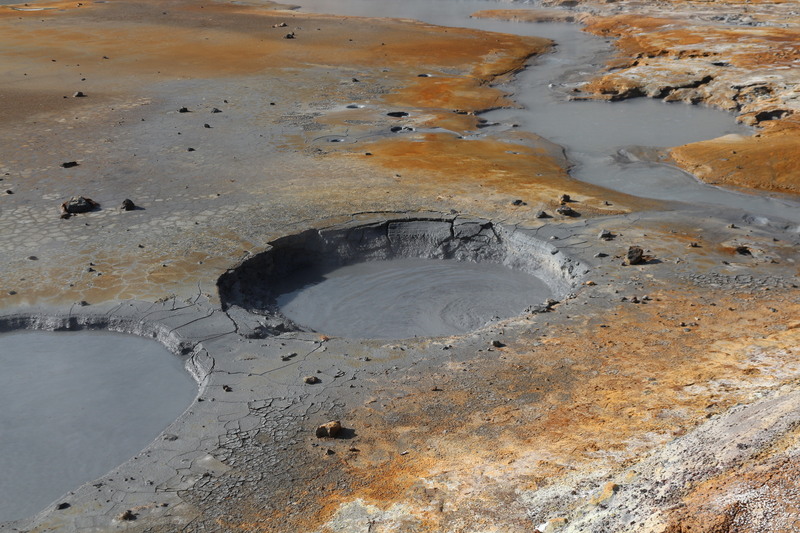 The Krýsuvík area has several geothermal fields with mud pots full of bubbling clay, hot springs and soil in every color of the rainbow. The area has wooden pathways so it can be enjoyed quite safely. Moving along on route 42 you should make a right turn at the next crossing and continue on route 427 towards Grindavík. 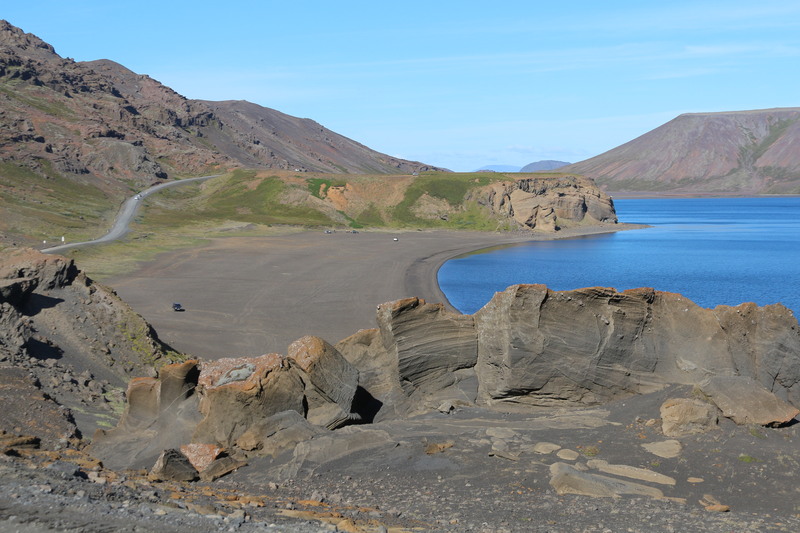 Driving along the seaside there are a couple of interesting stops, such as the Selatangar ruins (just watch out for local ghost Tumi), colorful mountain Festarfjall and the hiking routes around Hópsnes. Grindavík is a quaint little fishing town, mostly known for its salted cod production. For those curious to try this local delicacy there are some quite nice seafood restaurants in town, such as Bryggjan and Salthúsið. From Grindavík you can either make your way towards the Blue Lagoon on route 426 or continue towards the tip of the peninsula on route 425, which is what we would propose. It is in fact getting harder to recommend the Blue Lagoon even though it continues to be wildly popular among visitors. Its popularity is indeed one of the reasons it should maybe be avoided since it can often get quite crowded and sometimes demands standing in long lines on the parking lot. As for alternative geothermal swimming pools there is one in almost every town on Reykjanes (see here: http://www.swimminginiceland.com/reykjanes) with admission at less than a quarter of Blue Lagoon prices. European and American tectonic plates. So, route 425 should bring you to the area around the Reykjanesviti lighthouse, which is surrounded by interesting sites, rich birdlife and various geothermal phenomena. First off there is the Gunnuhver hot spring, named after the ghost Gunna, and then there are the amazing cliff formations that can be seen from the shore, most prominently the picturesque Karl cliff, which rises some 51 meters from the sea. A short distance passed Reykjanesviti you will find Miðlína, the line that divides the European and American tectonic plates, and from there you can get to Hafnir, Sandgerði and Garður, some of Reykjanes’ small fishing villages and to finish the round trip of Reykjanes it is easiest to drive back to Reykjavík via route 41, which connects the Keflavík airport and Reykjavík. There are several campsites on the Reykjanes peninsula which are ideal for mini campers and two that we would especially like to recommend: the one near the Garðsskagaviti lighthouse (situated on Garðsskagi, close to the village Garður) and, for added amenities such as laundry and internet, the newly renovated campsite in Grindavík (for more information see here: http://tjalda.is/en/camping-sites/sudurnes-peninsula/). We have barely scraped the surface of all the interesting places to visit and things to do in in the area. So, if you are interested in hiking, golf, or cave exploration you should definitely find something to your taste on Reykjanes (see here for more information: http://www.visitreykjanes.is/). So, we would like to emphasize as always that you drive slowly with lots of stops and make your own discoveries. Posted in Places to go.